Seafood Restaurant Specials, barramundi, prawns and panna cotta! Ok, panna cotta is not seafood but doesn’t this look enticing? 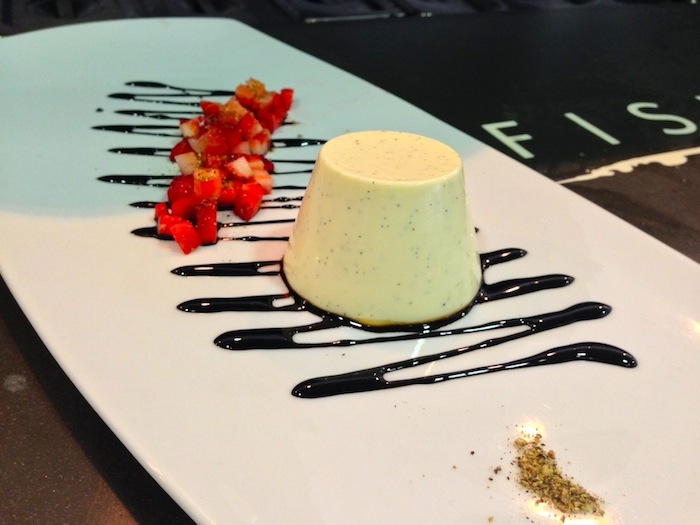 This is one of the dessert special available at Garfish Manly this weekend: vanilla panna cotta with strawberries, black pepper and balsamic syrup. 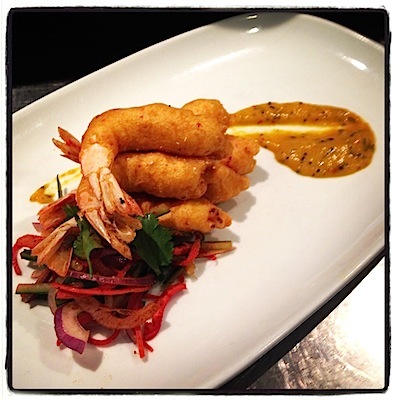 Over at the Crows Nest restaurant, head chef Hamish has entrée special that’s been running over the past few days and will also be available into the weekend: spiced battered king prawns w/ kachumber salad & mango chutney – if your dining at Crows Nest be sure to check out that one! John, head chef at Garfish Kirribilli has a number of special on the blackboard menu, he tells me though that this is his favourite: barramundi and chorizo croquettes with rocket and aoli. It’s also an entrée and will be available into the weekend. John also has an interesting dessert special on: mango, coconut and lime jelly with mint granita. Here’s hoping your weekend is a good one!